Cats have nine lives so they say, but few felines can have had a luckier escape from the jaws of death than Oscar, whose rear paws were chopped off by a combine harvester while he was basking in the sunshine, only to have them replaced through a bioengineering miracle, performed by one of the country’s leading neuro-orthopaedic veterinary surgeons. The work of this pioneering vet is also the focus of a new six part documentary series The Bionic Vet, to be broadcast on BBC1 from 30 June. Surrey-based Noel Fitzpatrick is a neuro-orthopaedic surgeon who has given the two year old cat a pair of new artificial feet in a single surgical procedure – something which has never been done before by any team anywhere in the world. The revolutionary design of the feet uses custom-made implants to ‘peg’ the ankle to the foot and mimics the way in which deer antler bone grows through skin – a case of science ‘copycatting’ the natural world. These pegs, or ITAPs (intraosseous transcutaneous amputation prosthetics), were first developed by a team from University College London led by Professor Gordon Blunn, Head of the Centre for Bio-Medical Engineering at UCL’s Institute of Orthopaedics and Musculoskeletal Science. Working in partnership with UCL, Fitzpatrick has pioneered the use of these weight-bearing prosthetic implants, combining engineering mechanics with biology to give Oscar the cat two new feet. In a three-hour operation, the veterinary surgical team had to insert the ITAPs by drilling into one of the ankle bones in each of the back legs – an extremely delicate feat, which could have fractured the ankle joint before the procedure had even begun, and even more challeging had to be performed twice. These artificial implants which are attached to the bone at an amputation site are coated with hydroxyapatite, which encourages bone cells to grow onto the metal. The skin then grows over the special umbrella at the end of the ITAP to form a resilient seal against bacteria and potentially fatal infections. The ITAP itself protrudes through the bone and skin, allowing the custom-built artifical paws to be securely attached. Following successful surgery on 13 November, the focus of the veterinary team has turned to the slow process of rehabilitation and helping Oscar to learn to walk again – firstly using external scaffolding anchored to the tibia for five weeks to protect the new implants until the ITAPs integrated into the bone and also the skin grew onto the ITAP. Remarkably Oscar was trying to stand within a day of the operation and despite some problems with infection that had to be overcome, in less than four months Oscar could stand and bear weight equally on all four limbs. He has since been fitted with a series of prototype new paws to ensure the best possible long term fit and now can claim to a be a truly bionic cat. Full limb amputation frequently constitutes the standard of care in cases of trauma victims such as Oscar, who have experienced irreversible vascular or neurological damage to limbs. While such procedures are common in both humans and animals, and despite a range of technological and surgical advances, post-amputation complications still arise when stump-socket exoprostheses (strap-on) are used, including infection, stump morbidity, abrasions and pressure sores, and mobility problems associated with weight-bearing, often leading to fractures and limb failure. What makes this procedure so complicated is that Oscar’s feet were severed at the junction of the tarsus and metatarsus, which is the junction between the ankle bones and the arch of the foot, but a cat stands up on its toes, whereas humans stand on the entire flat of the foot, so the ankle is the equivalent of the cat’s hock. 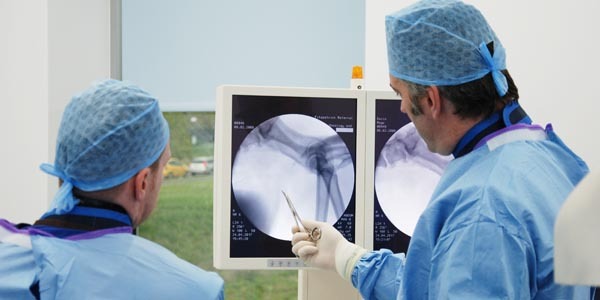 As Noel Fitzpatrick explains: “The real revolution with Oscar is because we have put a piece of metal and a flange into which skin grows into an extremely tight bone, with very narrow tolerances in the region of nanometres, rather than millimetres. We have then successfully managed to get the bone and skin to grow into the implant and we have developed an exoprosthesis that allows this implant to work as a see-saw on the bottom of an animal’s limbs to give him effectively normal gait. Oscar can now run and jump about as cats should do. Noel Fitzpatrick and the team at Fitzpatrick Referrals are the focus of a new six part documentary series: The Bionic Vet to be broadcast on BBC 1 at 10.45 pm every Wednesday commencing on 30 June 2010. 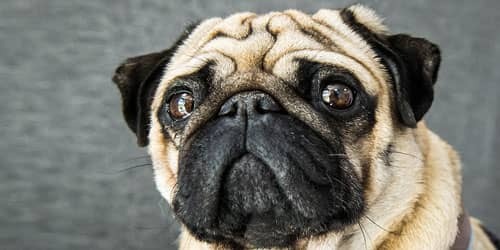 The programmes will focus on the multi million pound state-of-the-art vet practice in Surrey as well as the ways in which Noel is pioneering revolutionary new surgical techniques to save and improve the lives of thousands of pets from all over the country. 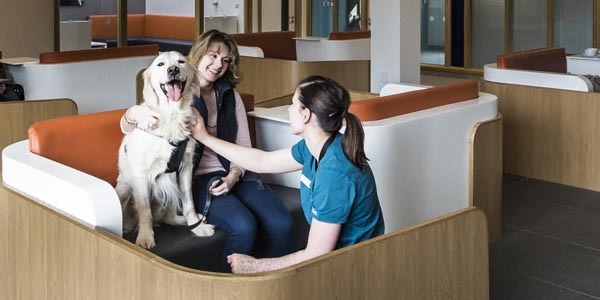 Fitzpatrick Referrals is a leading veterinary referral practice in Surrey which specialises in small animal orthopaedics and neuro-surgery. •	The £10 million centre which was completed in March 2008, boasts three specially equipped operating theatres, CT and MRI scanners and a specialist rehabilitation centre with physiotherapy and hydrotherapy facilities. •	Orthofitz is an implant design business set up by Noel Fitzpatrick to design, develop and manufacture customised and prosthetic implants for his patients. 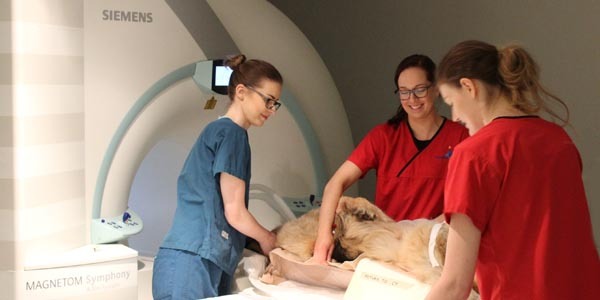 •	The Fitzpatrick Referrals team includes three veterinary surgeons, two surgical residents, five international interns, post-graduate researchers and undergraduate student placements, veterinary nurses, kennel staff, physiotherapists, hydrotherapists and a radiographer, plus front-of-house and administrative support . •	A distinguished academic and speaker, Noel Fitzpatrick has authored innumerable scientific abstracts and lectures widely in the UK, USA and Europe. •	In 2009 he was awarded the prestigious Simon Award from the British Small Animal Veterinary Association in recognition of his outstanding contribution to veterinary surgery. •	Fitzpatrick’s approach is embodied in his One Life One Medicine philosophy, which envisages human and veterinary medicine as becoming more closely aligned, combining compassion with clinical excellence. Wild Productions Ltd is a young up-and-coming production company specialising in factual programmes, with a strong focus on animals and environmental subjects. The company’s flagship programme, Wildlife SOS, is one of the longest-running documentary series of its type – Season 10 of SOS aired on The Discovery Channel Animal Planet earlier this year. Previous series of this innovative show about wildlife rescue and rehabilitation have run on Channel Five and ITV Meridian. Recent years have seen the introduction of Wildlife SOS International featuring hard-hitting reports on animal abuse and environmental destruction from around the world. The Bionic Vet is Wild Productions’ first commissioned series for BBC1.